Once again the cottage was a hive of activity at the weekend with the swirling of fabric dye, followed by the buzz of my sewing machine - yeah I can sew! It felt so good to be making my own home accessories again. 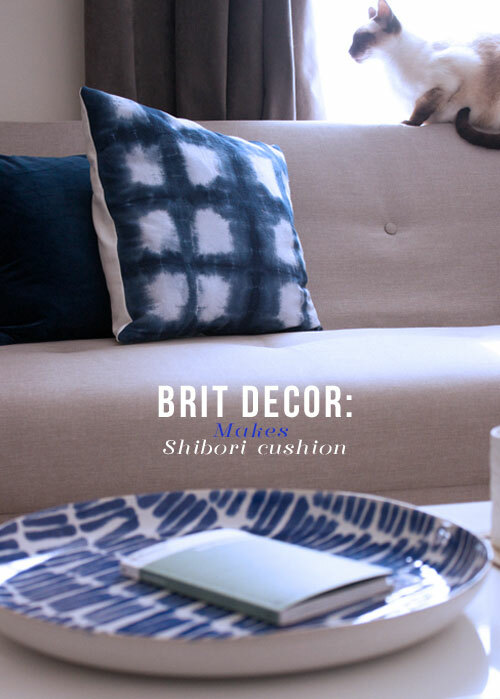 The Spring-fuelled excitement was all about creating a new cushion for the lounge, which was born out of my decision to introduce some blue accent colouring to this space for Spring/Summer (it's a south facing room and blues take on a slightly mediterranean look when bathed in sunlight). 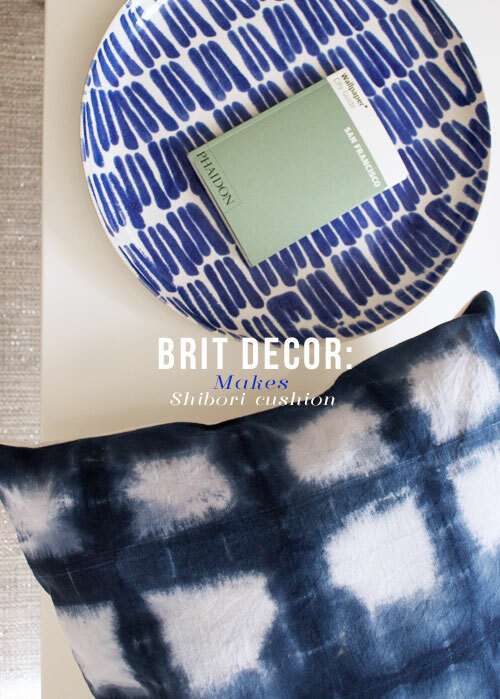 In terms of pattern, I opted for the stunning and ancient Japanese Shibori technique and its beautiful watercolour-effect. 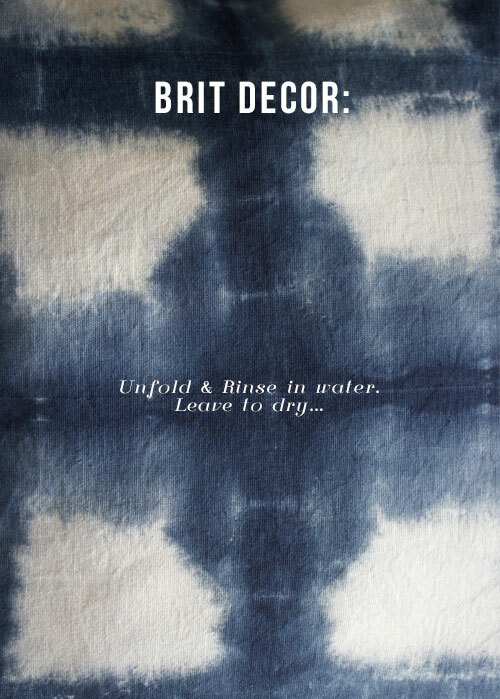 There are many different versions of Shibori, but here I have used the Kanoko technique, which is basically a tie-dye process. Here I have taken a large square of fabric and neatly folded it into squares until I was left with one small square. I then placed a small square of wood on top and another underneath (I used some old coasters). Finally I bound the fabric and squares together using elastic bands (as shown in images 2 & 3 'above'). 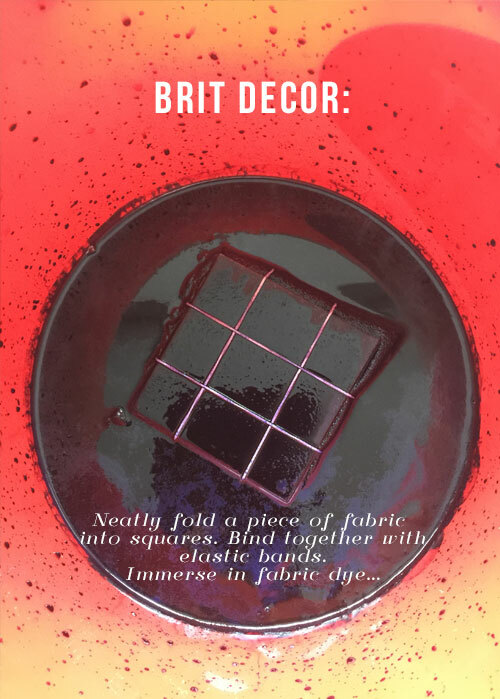 I then soaked the package in water before immersing in navy fabric dye for around 10 minutes. 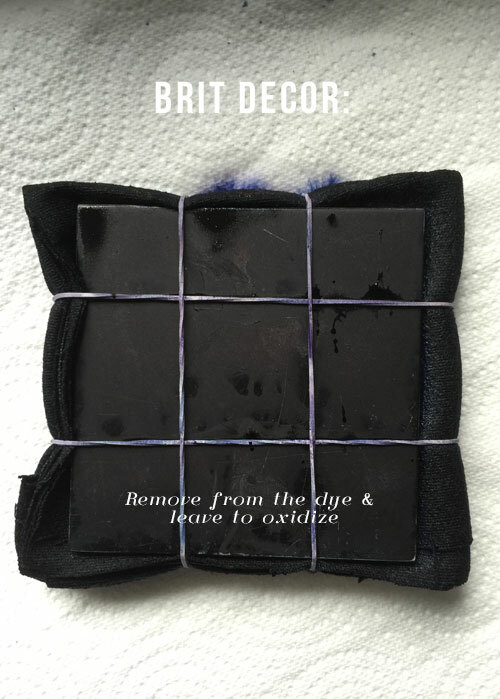 Afterwards I removed it from the dye, left the fabric to drain and oxidize for a few minutes before carefully unwrapping and rinsing with cold water. 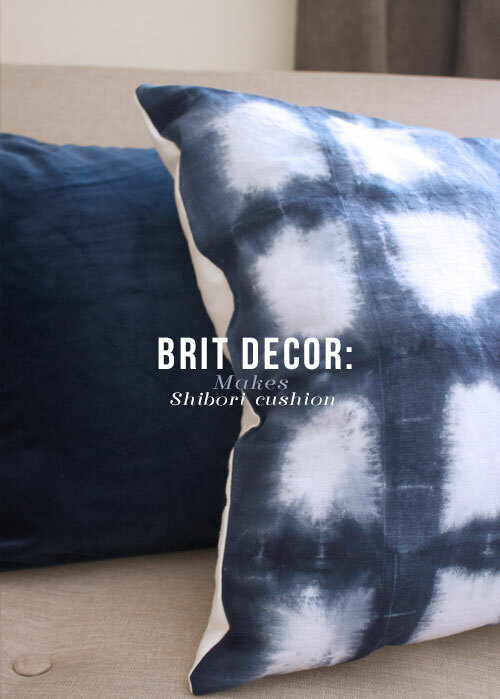 I have to admit that I was pretty thrilled with the final result, which I quickly ran through the sewing machine with a thick textured white cotton backing for the perfect contrasting white versus navy cushion. Have you used this technique before and if so, what was your experience?